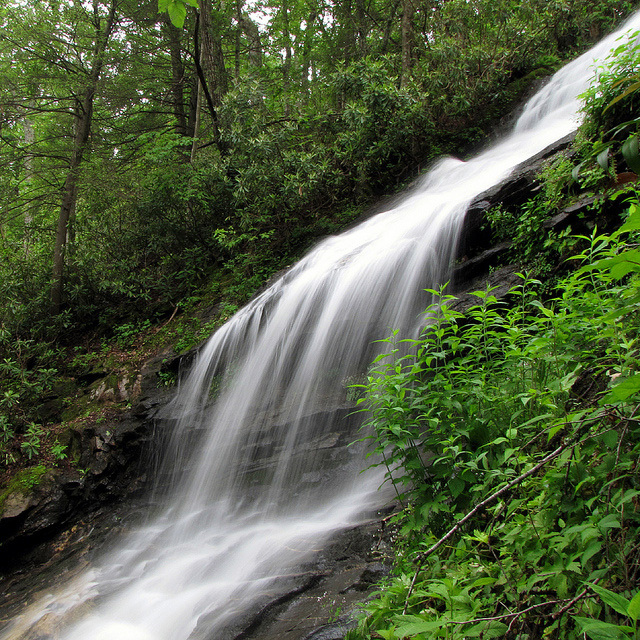 Cascades waterfall in North Carolina (near the Blue Ridge Parkway); photo by BlueRidgeKitties on Flickr (noncommercial use permitted with attribution / share alike). In 1893 the North Carolina General Assembly adopted the Latin words "Esse Quam Videri" (To be, rather than to seem) as the state motto and directed that these words be placed with the state's Coat of Arms and the date "20 May, 1775" upon the great seal. Until the act of 1893 North Carolina had no motto; one of the few states without one (and the only one of the original thirteen). "Fewer possess virtue, than those who wish us to believe that they possess it." "The fact is that fewer people are endowed with virtue than wish to be thought to be so." "Not nearly so many people want actually to be possessed of virtue as want to appear to be possessed of it." "The Numbers of the really virtuous are not so great, as they appear to be." 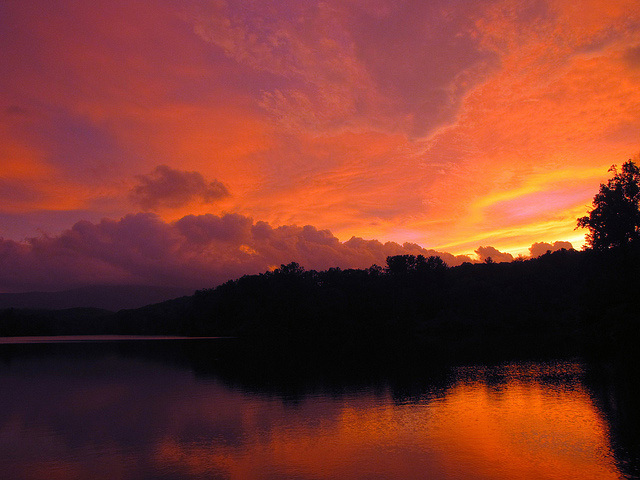 Sunset over Price Lake in Mill Ridge, North Carolina; photo by BlueRidgeKitties on Flickr (noncommercial use permitted with attribution / share alike). 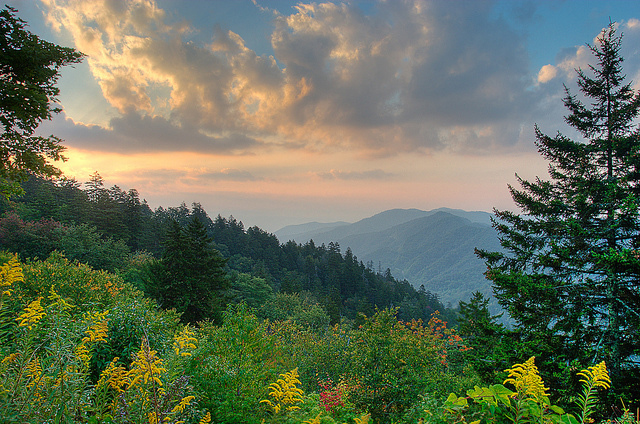 Pine trees in Great Smoky Mountains National Park, North Carolina; photo by Matthew Paulson on Flickr (noncommercial use permitted with attribution / no derivative works).